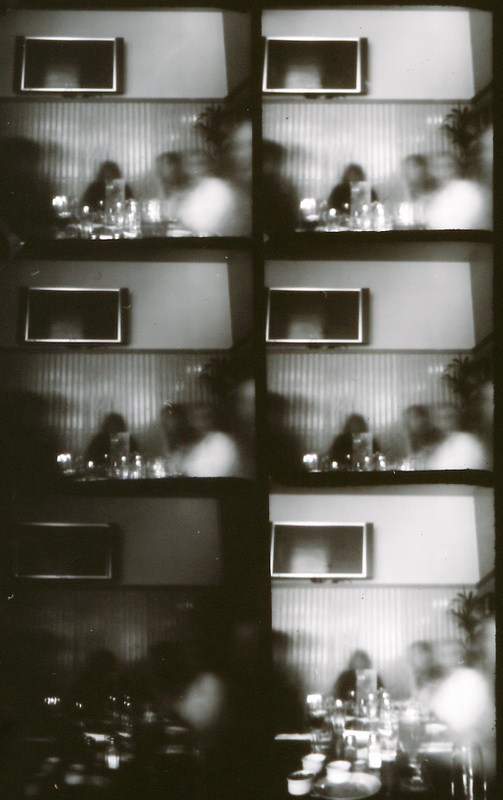 Lunch time group shot taken at the Orchard Bar with a grid pinhole camera. A shallow lightproof box made of an outer and inner tray that close one over the other – such as a 10×8 paper box (35mm deep). Some card to make the grid. Some black card to make a ‘shutter’. A hole punch or sharp knife. A needle of suitable dimension to make the pinholes. B&W paper the size of the grid. Decide how many holes to have in the grid (7×7 in the example at 25mm apart). Cut strips of card to the hight of the box and to either the length or width of the inner tray (6 of each for the example). Measure the centre, then mark where the card will intersect (every 25mm in this case – starting with 12.5mm on each side of the centre mark). Cut slots halfway up each intersection mark (like a wide toothed comb). Slot the card strips together to form the grid. 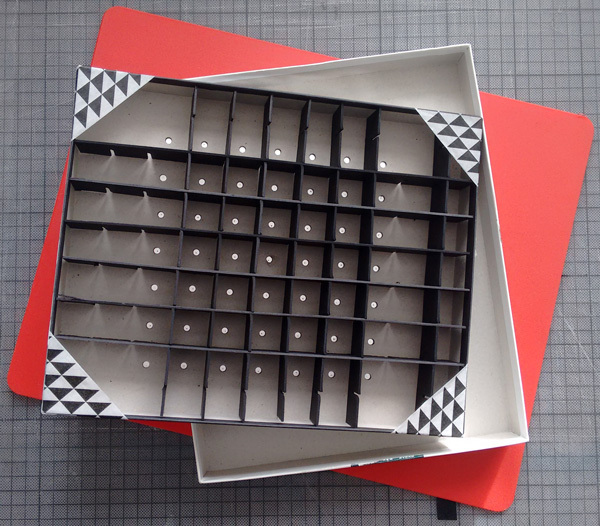 Put the grid into the inner tray and find the centre of each square – punch a hole 3-5mm in diameter in each. Keep the grid in place by taping the corners if it is loose. Cover the outside of the inner tray with foil. Poke a hole in the foil in the centre of each punched hole using the needle. Make a ‘shutter’ from a piece of card the same size as the tinfoil covered side of the box and use some tape to keep it closed. Load the camera with paper in a dark bag or darkroom. Place the emulsion side of the paper against the grid and the outer tray of the box over. Make the exposure by propping the box on a steady surface and un-taping the shutter. 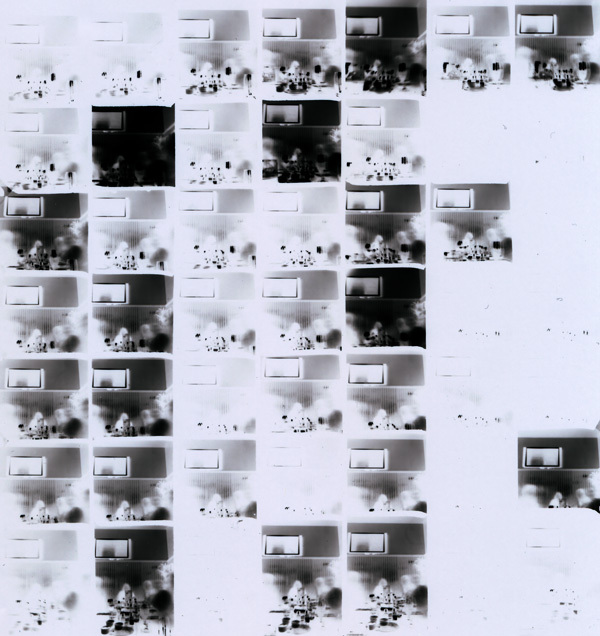 The camera pictured is f165, the paper for the group shot was Ilford IV RC (~ISO 100) and was exposed for 4 minutes 38 seconds.